There is absolutely no denying that I have the sea in my blood. I feel at my most content by the sea; I don’t care how cold I am, how messed up my hair is or how out of breath contending with the terrain underfoot makes me. As I’ve got older, the pull to be by the coast feels stronger… Annoying that I ended up settling bang smack in the middle of country! It means that going home is a real treat, and you can imagine my happiness that my girls also share my love of the sea side. 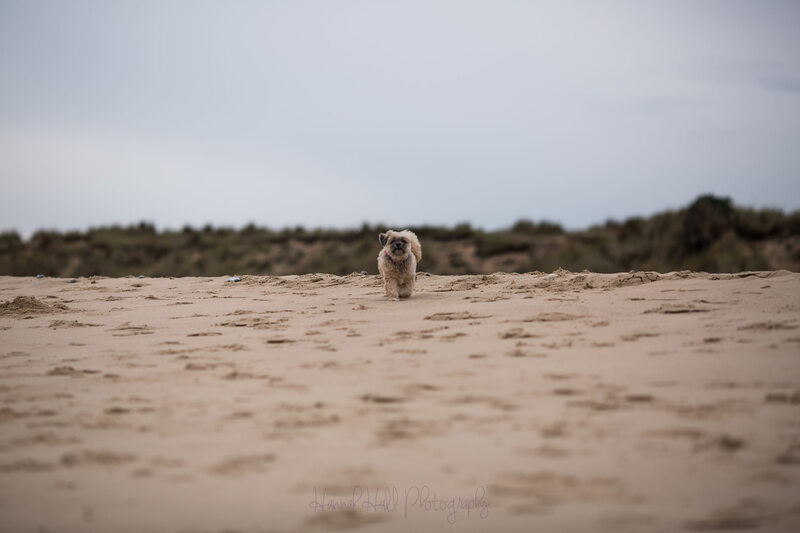 Our few days away took me to no fewer than four different beaches: Holkham, on the other side of the camera, Winterton, Aldeburgh for work and Southwold for the day with friends. What a treat. 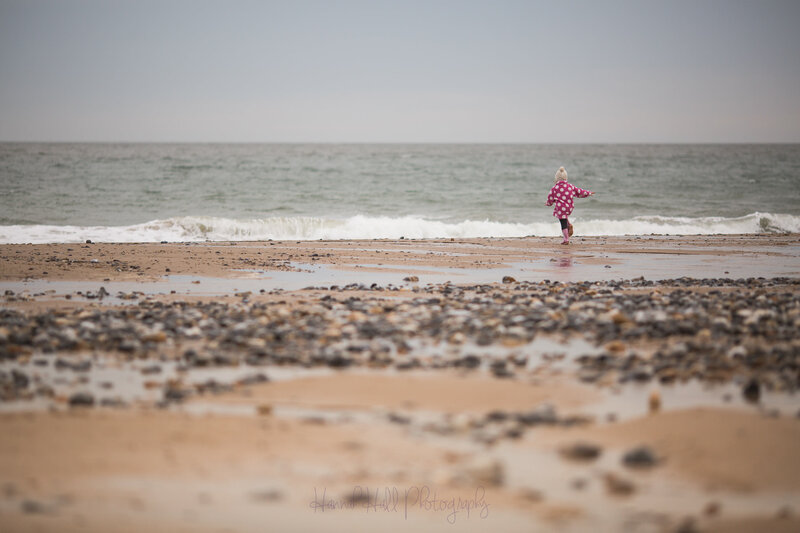 I’m back home now and buried deep in editing, but I wanted to share a few snaps from our walk at Winterton, where we spotted seals and collected pebbles, while trying to keep my youngest our of the water…. Easier said than done, that girl is fearless! 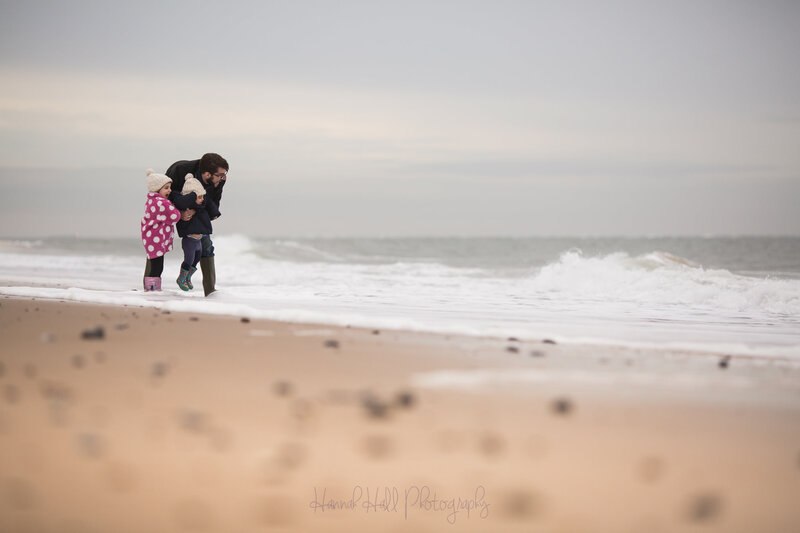 Hannah what beautiful photos, I adore the one of your youngest walking towards you with that beautiful blurry background, I’d be so proud to take a photo like this, she has the same Joules Wellies Clio used to have,they lasted for years! 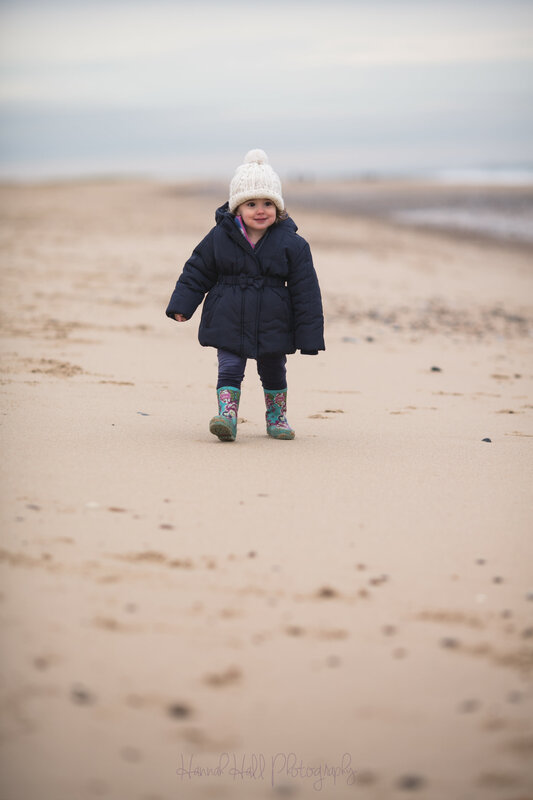 Hope you manage to keep up the family beach trips as well as the work ones over the winter months. Thank you for sharing with me on Country Kids. Thanks for your incredibly kind words, Fiona! I love those wellies, they were Effy’s and both of them have loved them and you’re right, they’ve lasted so well. Effy has had a run of cheaper wellies that haven’t lasted well at all so I might treat her to some new Joules ones. I love that photo too. Definitely one for the wall!! I can’t take credit for the dog; she’s my stepmothers, she came along for fun! Winter beach walks really are good for the soul!